Back in November I was blessed to take my third trip to Northeast Poland to work with our partner missionaries in the cities of Nidzica, Olsztynek, and Dzialdowo. This trip was doubly special for me because my 9-year old son Adin got to travel with me. God had lots of special ways planned to use Adin on the trip, and thankfully God was able to work through me and the rest of the team also. Click here – insightdec2012 – to read the story about Adin and his interview in the Insight publication. After you read the article, you can read more from me below. And be sure you don’t miss the “bonus content” at the end. One of the most important parts of this trip was that Adin would be able to do presentations in the Polish schools and share the gospel. 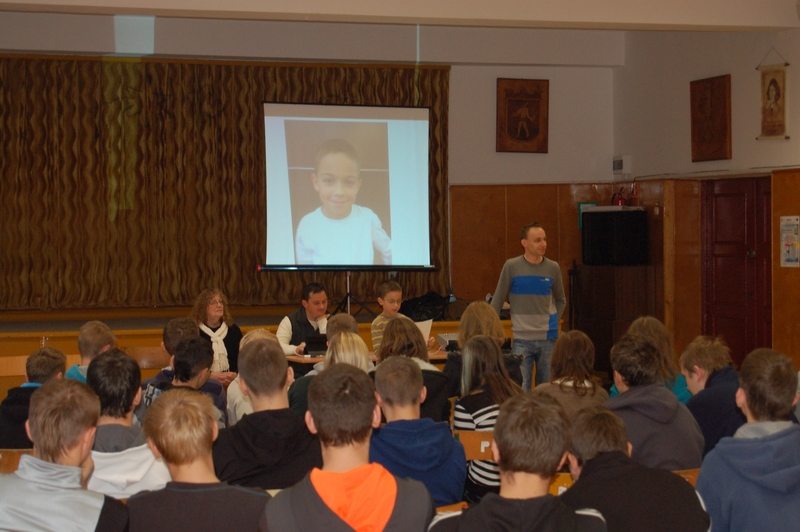 Many of the schools were clear that we were not allowed to “evangelize,” and yet Adin seemed to have a unique opportunity because the Polish people value children to such a high degree. His presentation was called “Life as a 9-year old in the USA,” and it included pictures and descriptions of his life at home, school, at play, and at church. We decided to take a chance and talk about Adin’s baptism in each presentation, with a clear statement from him that he was baptized because he “trusted Jesus as Savior and Lord.” The best part for me was that Adin was so excited about sharing the gospel. For him, sharing the gospel was the most important and valuable part of our mission. Before we left, he mentioned it to everyone. “I am going to share the gospel of Jesus every time,” he kept saying. The first school we went to in Nidzica was the one that had been most adamant about us not evangelizing. Adin was the first presentation given. He was excellent in his delivery and the translation by the Polish missionary Artur went well. Adin shared about his life in the US – his home, his school, his family, his hobbies, and his favorite sports. His presentation was followed by another team member’s presentation about working in the Tulsa Zoo. After it was finished, we asked the group for questions. Even the Polish nationals with us were shocked that the only questions came from the adult teachers and administrators – and they were all about Adin’s baptism! 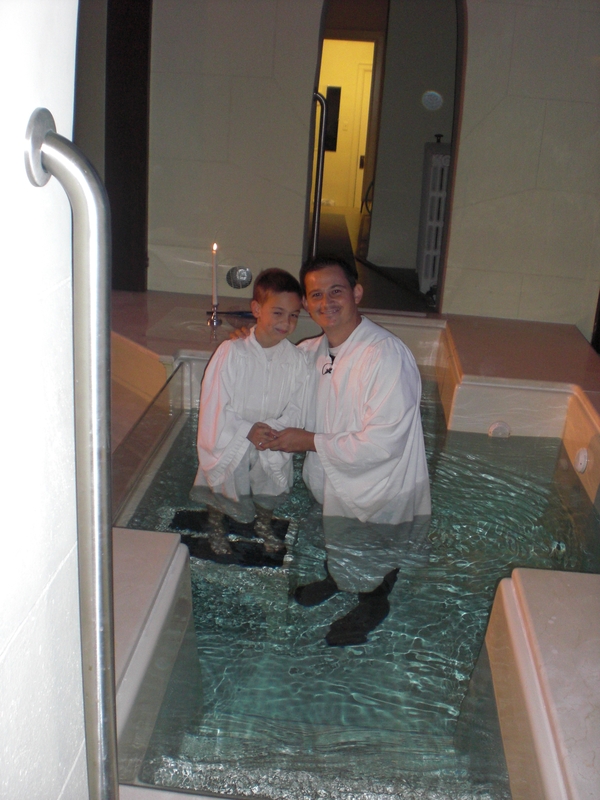 They wanted to know why he was baptized at age 7, what we teach about baptism, what we believe about faith. I was able to stand up and share through Artur even more about the gospel, baptism, and following Jesus with our whole lives as opposed to just in religious settings. The questions kept coming. From the very first presentation, God made clear that He had big plans to use Adin’s passion for the gospel. Adin was able to give his presentation 6 more times. In at least one setting, he was able share even more by saying, “Jesus died for everyone; including everyone in this room. He can be your Savior and Lord just like He is mine.” In each case, he did a great job and the gospel was introduced. It was also fun that at the end of each presentation, he would say “THANK YOU” with some serious umph. By the end of the trip, he had changed his ending to the Polish thank you – “Jin-coo-ya” (sic). The first group to whom he presented was the most engaged with baptism, I would say, but that does not diminish the success of the rest. His 9-year old testimony of Christ’s Lordship had far more impact than perhaps the rest of us as adults might have had with our own testimonies given the setting. Praise God for using children in unique ways and once again proving He has big plans for each of us. What a great guy, that Adin! Eric, maybe my system was the only one without sound on the Elmo translation. You may want to check with other readers about theirs . Liked very much your written introduction. Couldn’t stop laughing at the Polish Elmo, please tell me you brought him home. I’ll pay cash. Excellent example of God using the “weak” to confound the “strong”. 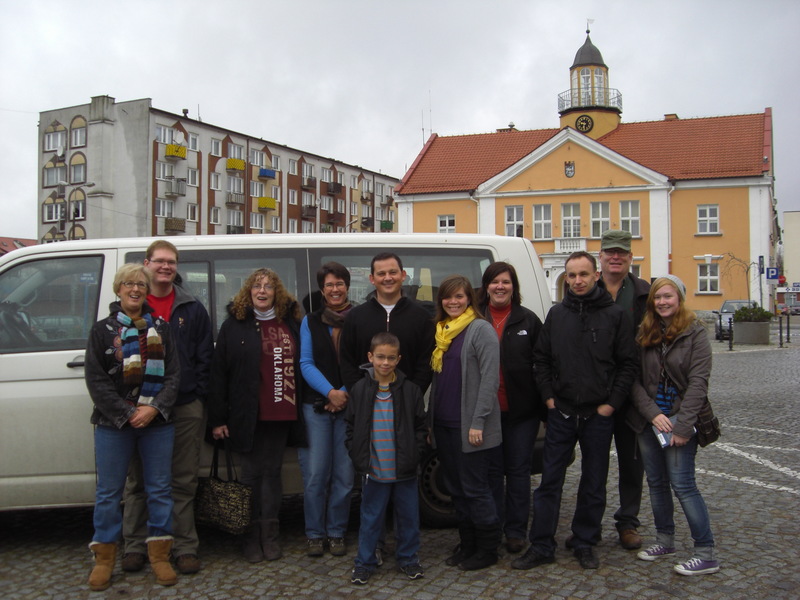 May God continue to bless the work in Poland as well as the work He has begun in Adin. What are the grounds for calling someone a heretic or false teacher?